Life isn’t particularly easy, especially when you’re eighteen years old and leaving home for the first time, embarking on your first journey into the big bad world of college. 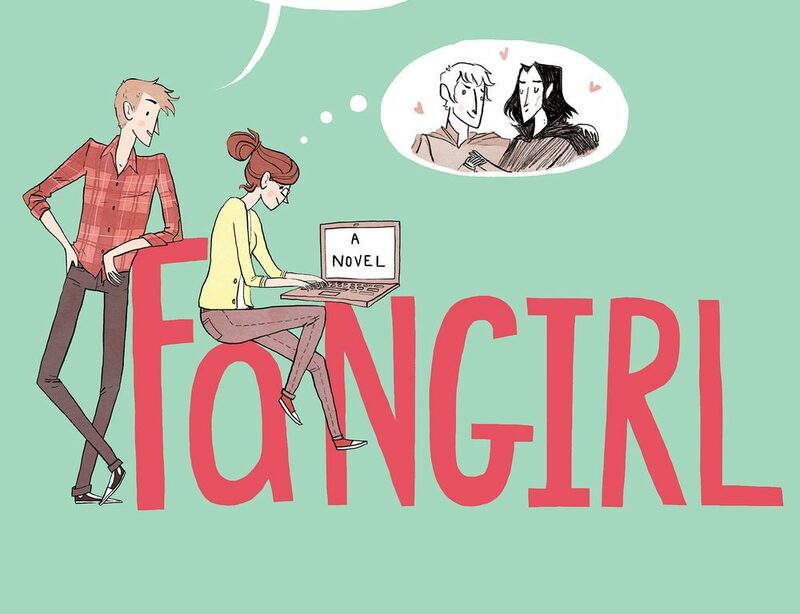 Rainbow Rowell’s Fangirl is a coming of age story about fans, family, change and the inevitable difficulties we face in growing up. The story follows Cath, an introverted and social anxiety plagued teen, and her identical, outgoing, twin sister Wren as they try to navigate University life, far away from home. This proves difficult for Cath in particular as she finds herself stuck with a candidly blunt new roommate Reagan and the ever-lingering presence of her sunny, dispositional boyfriend Levi. At Cath’s refusal to interact with the world outside of her dorm, she finds herself spending more and more time with Levi, slowly emerging from her shell as he steadily charms his way into her life and, even more frighteningly, her heart. Consistently escaping into the upkeep of her successful online fanfiction site under the guise of pseudonym Magicath, centering stories around the subjectively romantic sub textual plot between famous and cherished book characters Simon and Baz, Cath must come to realise that there’s more to love and life than what she writes online. Rowell creates a truly fascinating and open love letter to the internet fandom communities. 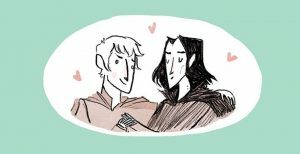 Undoubtedly drawing inspiration from the critically acclaimed and fictitious universe of Harry Potter, Rowell creates Simon Snow and a world not too dissimilar from the realm of magic and spells that we have all come to know and love. Cleverly drawn inversions are scattered throughout the novel which, in many ways, creates a direct parallel to the series and produces a cleverly orchestrated method of communicating to the reader the inner turmoil of the young female protagonist. This book reminds us all that it is okay to feel growing pains as we learn to navigate through adolescence, forming a link between the heightened escapades of childhood with the more subdued and appreciated experiences of age.